If you have ever consulted a medical professional regarding treatment for snoring or sleep apnea, you are definitely familiar with one of these three solutions: wear a dental mouth piece, wear a continuous positive airway pressure mask (CPAP), or have surgery. The first option is called Uvulopalatopharyngoplasty, a.k.a. UPPP. “Uvu…what? !” Don’t get overwhelmed by the term, it is just a fancy way of saying tissue removal. In this surgical procedure, the surgeon removes a portion of tissue from the rear of your mouth and top of your throat, usually including your tonsils and adenoids. This can have immediate improvement to your sleep apnea, assuming a) the removed tissue was the cause (it’s not always the case! ), and b) the surgery was performed successfully (no surgery is 100% guaranteed, in fact, the success rate of UPPP in treating sleep apnea is only around 50%). Even if the above two criteria are met, there is still a high likelihood you’ll see snoring and sleep apnea return within months after the surgery. Moreover, patients who undergo tissue removal may experience discomfort during eating, swallowing, and drinking for several weeks after the procedure as part of the healing process. 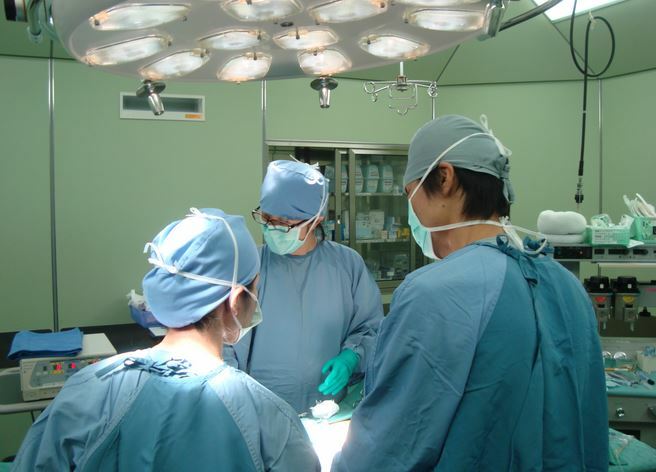 Speech quality may also be influenced depending on the level of surgical success. A variation to the UPPP is called Radiofrequency Palatoplasty, or known as Somnoplasty. Instead of trimming away the tissues like in UPPP, Radiofrequency Palatoplasty shrinks and stiffens the tissues by running electric current through them. The benefit of this procedure is a faster recovery time than UPPP. The down side, however, is you may need additional sessions if your tissue didn’t shrink enough. Other side effects are similar to the UPPP procedure. Another surgery is called maxillomandibular advancement, a term for moving your jaw forward. The idea is to shift your jaws forward to create a larger airway for you, similar to wearing a mouthpiece. It’s a major surgery that changes your facial features and has a long recovery time. There is a risk you may develop long term jaw joint issues depending on the surgery success level. There is also an implant method called pillar procedure, where plastic rods are implanted into the roof of your mouth near the back towards throat (soft palate). The idea is to take advantage of your body’s self-repair mechanism. As your soft palate heals from the implantation wound, it will stiffen up and reduce obstruction to the airway. Possible side effects include sore throat, difficult in swallowing, and the awkward feeling of having something stuck inside your soft palate. The most common issue with this procedure is that occasionally the tip of the pillars may protrude through the soft palate. Should this occur you would need to contact your surgeon to have the pillars either removed or replaced. The most complicated procedure is probably Tracheostomy, the creation a new air passageway. In this procedure, the surgeon will cut open a hole through your neck to your trachea and insert a metal or plastic tube though that hole to your trachea; imaging having a straw sticking out from your neck. The tube would have a cap you can close during the day and open up during the night for breathing. Besides the obvious aesthetic issue, this procedure may create complications with your trachea in both the short and long term, including but not limited to abnormal tissue development in the trachea, shifting of the tube inside the trachea, obstruction of the tube, and infections. So above are the 5 different types of sleep surgeries. If you are currently hesitating to have one performed, I strongly suggest you to take a look at our QuietSleeping training program. If you are willing to put in the effort, we can help you save thousands and avoid the trouble and risk you might need to go through. If you have had sleep surgery and aren’t satisfied with the result, we can help you too. Please feel free to share with us any experience you’ve had with sleep surgeries!